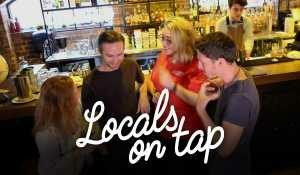 Urban Adventures is giving away 2.5 million dollars worth of “Locals on Tap” tours. Part travellers’ meet-up, part info session, part walking tour — and happening all around the globe. 15% – 35% off 190+ tours. Click HERE to browse what’s on offer. Be quick though. These discounts are one-off deals that can disappear at any time. Skip the crazy crowds and get set for an adventure with this hassle-free deal. 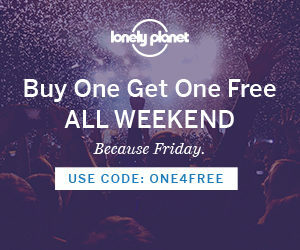 Visit the LONELY PLANET Shop and get two travel goodies for the price of one. Choose from guides, gifts, kids books and more. Use discount code ONE4FREE on checkout. 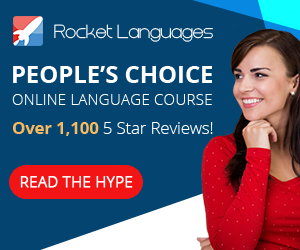 Pimsleur Language Programs– world leader – over 25 million satisfied customers. Adding even more value to members joining the community. Use Code: BLACKFRIDAY25 on checkout. Wiggle are running their annual Black Friday sales extravaganza with a special deal every day right through to Monday 28th November. Click HERE to access today’s incredible deal in Australia. Click HERE for the rest of the world. [two_column_block style="undefined"] [content1]<a href="https://www.awin1.com/cread.php?s=176479&amp;v=1857&amp;q=97188&amp;r=184967"> <img class="aligncenter" src="https://www.awin1.com/cshow.php?s=176479&amp;v=1857&amp;q=97188&amp;r=184967" border="0"/></a>[/content1] [content2]<span style="font-size: 16px;"><a href="//t.dgm-au.com/c/80124/324974/1397" target="_blank"><strong>Wiggle</strong> </a></span>are running their annual <span style="font-size: 20px;"><strong><a href="//t.dgm-au.com/c/80124/324974/1397" target="_blank">Black Friday</a> </strong></span>sales extravaganza with a special deal every day right through to Monday 28th November. <span style="font-size: 28px;">Click <span style="color: #ff0000;"><strong><a style="color: #ff0000;" href="//t.dgm-au.com/c/80124/324974/1397" target="_blank">HERE</a></strong></span> </span>to access today's incredible deal in Australia. <span style="font-size: 28px;">Click <span style="color: #ff0000;"><strong><a style="color: #ff0000;" href="http://www.awin1.com/cread.php?awinmid=1857&amp;awinaffid=184967&amp;clickref=&amp;p=http%3A%2F%2Fwww.wiggle.co.uk%2F" target="_blank">HERE</a> </strong></span></span> for the rest of the world. Valid from 24 – 28 November 2016.